Stroke survivors will undoubtedly face a variety of hardships after a stroke event — physical impairments, emotional difficulties, mental disabilities — not to mention a heightened risk of a second attack. The road of rehabilitation can be a long one, but huge advances in both medical technology and therapeutic techniques have made it possible for survivors to enjoy incredible recoveries. The Universal Institute Rehabilitation & Life Center in Livingston, New Jersey recently purchased the SaeboVR, becoming the first facility in the United States to offer this innovative virtual reality technology to patients. The SaeboVR is the world’s first FDA-approved ADL-focused virtual reality rehabilitation system, and was made available to clinicians only a few months ago. The clinicians at UIRehab are very excited about their new device, and have already begun utilizing the SaeboVR during therapy sessions. Leader in unique, affordable technologies for individuals suffering from impaired mobility and function releases a virtual ADL system to maximize therapy outcomes. 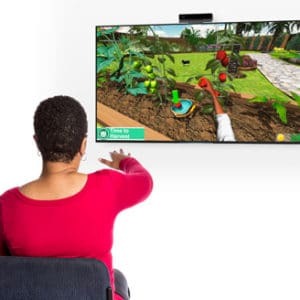 CHARLOTTE, N.C. – Saebo, Inc. announced on Wednesday that the U.S. Food and Drug Administration (FDA) has cleared SaeboVR, a virtual ADL (activities of daily living) rehabilitation system designed to engage neurological clients in both physical and cognitive challenges involving simulated functional tasks. This first-of-its-kind software system is grounded in National Institutes of Health (NIH)-sponsored research demonstrating the efficacy of virtual ADL practice for upper extremity rehabilitation.